Troy’s Work Table Publishing will be at PuliCon 2018: Puyallup’s Comic Convention, as part of Artist Alley. All prices include original artwork, frame, and adoption information. Tax is included in the price. (1) 3″ x 3″ watercolor paper in frame = $15 each. (2) 6″ x 6″ watercolor paper in frame = $50 each. 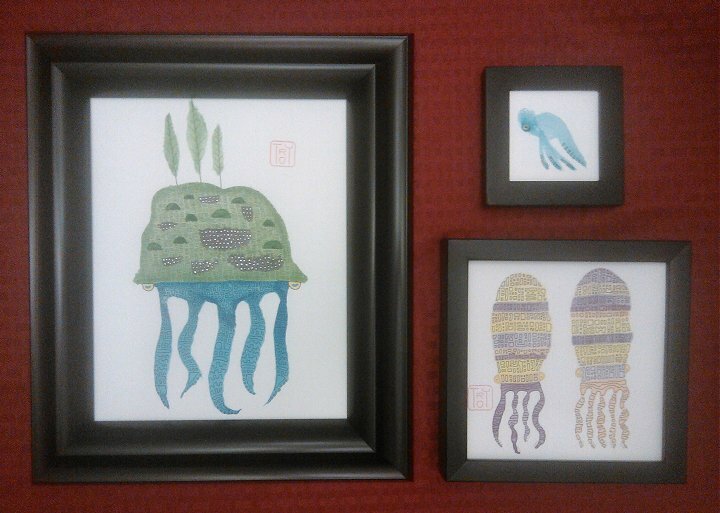 (3) 8″ x 10″ watercolor paper in frame = $100 each. Pictured are Eeyore (3×3, upper right); Yoo and Dub (6×6, lower right); and Ogygia (8×10, left).